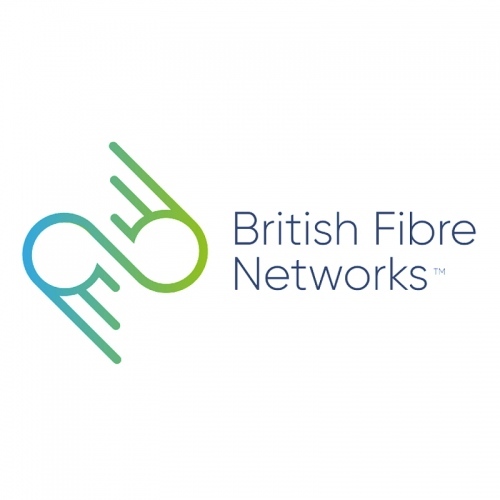 An interesting new alternative network has launched today called British Fibre Networks, which aims to build a new open access and 1Gbps capable pure fibre optic broadband service (FTTP/H) for over 35% of new build homes by 2021. The ISP is headed by the former CEO of the controversial i3 Group. At this point readers might recall that the i3 Group, alongside its subsidiary H20 Networks, was initially one of the first operators in the United Kingdom to pioneer modern urban fibre optic networks. The operator did manage to build some networks around cities, such as Bournemouth and Dundee, albeit with mixed success (contractor disputes, shoddy street works etc.). Unfortunately all that came to an end sometime ago after the Serious Fraud Office (SFO) revealed criminal activity, which last year resulted in four men being found guilty of a £160 million financing fraud and sentenced to a total of 44 years in jail (here). Happily the founder and CEO of i3 Group, Elfed Thomas, was found not guilty and exonerated from all charges. Since then Elfed has been busy putting together his new business venture, which he hopes will capture a slice of the United Kingdom’s growing market for ultrafast Fibre-to-the-Home (FTTH/P) networks. Lately a huge amount of investment has been going towards such deployments, fostered both by enhanced regulatory support via Ofcom’s changes and financial support from the Government etc. “Clearly there are a number of well financed ISP entrants into the market. We ensure new homes have the fibre infrastructure which can connect with this growing choice of fibre networks. Choice and capacity to the customer is vital for a competitive platform. For too long, new homeowners and builders have been subject to a monopolistic offer, which is overpriced and never installed in time for when the customer moves in. As Elfed hints above, there are already quite a few “full fibre” operators, other than Openreach (BT), that work with new build developments (e.g. IFNL / GTC / BUUK, Hyperoptic, Virgin Media etc.) and some, like Independent Fibre Networks Limited, also offer this as an open access solution via several ISPs. On top of that British Fibre Networks is currently said to be in discussions with a “leading price comparison site“, which they say will provide a unique platform to manage and offer the choice of ISP to customers. However before that they’ll actually need to build some networks and sadly the press release doesn’t offer any information on package details or initial roll-out locations. The issue of funding is another big unknown. At this stage it’s too early to judge whether BFN’s aspiration toward connecting pure fibre to over 35% of new homes by 2021 is even remotely viable, although that part of the market is much smaller and easier to deploy into than existing properties, where the cost of building can be significantly higher. It’s always easier to put fibre into the ground if you can do it before the houses and tarmac go on top. Side Note: The press release claims that the UK average broadband speed is 16.51Mbps, which is well below even Ofcom’s estimate of 36.2Mbps from last year (here). After a bit of checking we believe that this figure was extracted from M-Labs data (here), which is a study that was based on speedtests rather than actual network availability (in the UK this will be impacted by the wide use of slow ADSL lines and WiFi etc.). @ Fastman – He’s our resident troll. Comes out whenever there is an article that has nothing to do with BT to have a pop at them for being such a big, bad, evil corporation. It’s becoming a crowded market. BT should be worried. BUT very few are sorting the big digital divide in rural areas, some of which aren’t even that rural. Here I’m just a couple of minutes from a motorway junction, 12-15 minutes from a city centre and within a commutable distance from London (high-speed train or by road). Not in the middle of nowhere up in the Scotland highlands yet it seems broadband here is worse. We don’t get the grants, the news headlines or trials (g.fast). I’ve started an Openreach Community Partnership to try and bring 330Mbps FTTH to the community of Oversland and South Street (Boughton). But it seems impossible to get any local news etc interested in even retweeting, even this site has ignored me. Oh and if anyone at British Fibre Networks is reading this and interested in building a full-fibre network here please let me know! Just checked a random address in Oversland and South Street and it had access to FTTC with an estimated speed of 74Mbps. With Unlimited Fibre Broadband, you can get an estimated download speed of 2 – 4Mb and an estimated upload speed of 1Mb. What a stupid comment! Do you honestly think Tim would set up a CFP if he could already get 80Mbps? The BT/Openreach database throws up mistakes all the time. Was this random address the Sewage Treat Works in postcode ME13 9NJ? According to the BT DSL Checker this can get 78Mbps/20Mbps…but all the other addresses in the postcode get 2-4Mbps. Maybe the smell of sh1t helps speed it up? What BT monopoly on new build? 35% of the market with other competitors in less than 4 years with no product yet? As I posted on TBB, I fail to see how this is worthy news. Their LinkedIn profile claims they have 10,001+ employees https://www.linkedin.com/company/british-fibre-networks This is complete BS. The website listed there is http://britishfibrenetworks.net/ was registered on 5 November 2017 to Elfed Thomas with his Gmail address and there is no company listed. The website http://www.britishfibrenetworks.co.uk/ is registered to Coverd Limited, of which Elfed Thomas is the sole director. The address provided is fake and the claim of the trademark is also bogus according to the IPO database. Coverd Limited has failed to file its annual accounts (due October 2017), and there was a notice to strike the company off the register last week. The last filed accounts showed the company had £66 in the bank and tangible fixed assets of £364.